Nigeria is the largest fruits and fruit juice consumers in the whole of Africa and one of the world largest fruit juice consumers. This goes to show you why you are most likely to do well in this business if you are well determined and with a good business plan. According to research, about 50 per cent of Nigeria’s population consume fruit juice daily. Some of this fruit juice company has grown so big in little time because of the patronage they get from their customers on a daily basis. After the Federal Government of Nigeria placed a ban on imported fruit juice, the market has tripled and this has so encouraged young businessmen and women who ventured into this business to be millionaires in a very little time. Most fruit juice like Five Alive (Coca Cola), Chivita, UAC foods, Leventis were not as big as they are now when they started but they are proof that the market s very profitable if you really know what you are doing. Fruit juice is for everyone, both old and young. This is a very profitable business in the country so its important that you start well. There is no successful business today that did not take time to make good research before venturing into the business. On this post there are key areas I’ll shine light on but the best thing to do that will guarantee your success in this business is to make a good feasibility study on fruit juice and have a well written business plan. Fruit juice business plan and feasibility report is like a roadmap for your business with the financial projections, market analysis, marketing strategy etc. all of which will help you take your business to the next level. 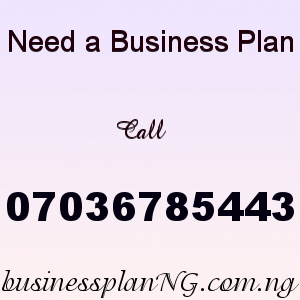 There are lots of businesses that fail because they fail to advantage of a good written business plan or conduct a feasibility study report. Its very important for any business owner to take out time and conduct research about the business to be familiar and understand the everything about the business. Also, choosing a niche is also important. One good thing about choosing a niche is that it give you focus. There different types of fruits so choosing a niche will make you focus on they particular fruit juice you want to be making. There are smoothies and there are fruit juice made from concentrates. Choosing the type you want to venture will also determine the capital for the startup. To register business in Nigeria is a must since you are producing something for consumption. You have to meet the requirement for the business to be registered. There are some bodies that will supervise the business. The Corporate Affairs Commission, CAC is in every state in the country but after this registration you will need to register with the National Agency for Food and Drug Administration and Control, NAFDAC and the standards Organization of Nigeria, SON. All this registration will be needed and the good news is that its not difficult to get. Location is a very important part of the business, people will always come to you when finding you is not difficult. This is one of the keys to succeeding in a business. Your location should not be too far from the market so your target customers can easily find you. Equipment – There are some special equipment that are needed for this business. Some of this equipment are industrial juicers or juice extractors, blending tank, fruit washing tank, boiler, boiler, filter press, filling machine an so on. After you have produced your fruit juice taking it to the consumer require a good amount of publicity. This is a very important aspect of a business. You must invest in publicity for your brand to be a recognized. Our sample Fruit Juice Business Plan in Nigeria can be used to access bank loans, proposal writing and grant applications. The business plan was complied after a thorough feasibility study on Fruit Juice Business in Nigeria was done. After you have made payment for your Fruit Juice Business Plan in Nigeria & Feasibility Study, send your email and payment details to 07036785443. Once your payment has been verified the Fruit Juice Business Plan PDF will be sent to your email.